Climate change may be a greater threat to China’s long-term prosperity than its leaders recognize. In preparation for the UN’s Climate Change Conference in Paris this November, the globe’s two largest emitters, China and the United States, have been pledging various actions to steer the world away from climate change-induced peril. Last year, U.S. President Barack Obama and Chinese President Xi Jinping reaffirmed their commitment to take-on climate change. In May, President Obama reiterated that it was a national security imperative to “combat and adapt to climate change” while addressing the U.S. Coast Guard’s graduating cadets. His remarks echo Department of Defense (DoD) analysts’ assessment that climate change is indeed a “threat multiplier” and a “global problem.” These remarks were central to DoD’s first climate change strategy, the Climate Change Adaptation Roadmap, released in 2014. For Chinese authorities, however, no official pronouncement or linkage has been made between climate change and China’s national security that is on par with DoD’s threat assessment. But the Ministry of Defense and PLA should make this a top priority because China’s long-term security and sovereignty are at stake. China first acknowledged climate change in its Initial National Communication on Climate Change in 2004. 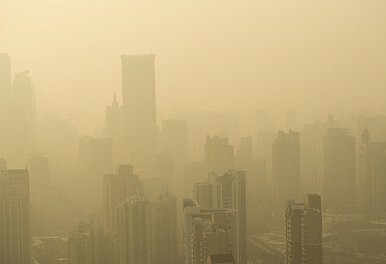 In the decade since, China has made significant strides in addressing climate change from issuing a Second National Communication on Climate Change in 2008, providing data and scientists to the United Nations International Panel on Climate Change, and incorporating and implementing various climate change initiatives throughout the country. Chinese security planners took a cue from the government’s lead and referenced climate change in the 2008 white paper, China’s National Defense. The reference to climate change in the 2008 white paper is particularly noteworthy because the severe blizzards in southern China that January prompted military officials to respond. First, security planners included natural disasters as a national security threat and initiated natural disaster response as part of the PLA’s tasks. Second, the PLA set up a military committee to assess the impacts from climate change to China’s military and national security. Climate change appeared again two years later in the 2010 white paper. However, the most recent white paper, 2015 China’s Military Strategy, does not mention climate change and it can be surmised from the white paper that climate change is now classified as a “non-traditional” security issue. But if climate change predictions are right, this “non-traditional” threat may be more menacing and lethal than China’s “traditional” threats. Desertification in the dry north and west will stretch already thin water supplies and wilt the ambitious and decades-old Three-North Shelter Forest Program (三北防护林) or “Green Great Wall.” As temperatures increase in the west, thawing permafrost will buckle hundreds of miles of the newly constructed, multi-billion dollar Qinghai-Tibet Railway jeopardizing the safety and the continuity of this strategic link to Tibet. The increasing frequency of extreme weather conditions, such as flooding, drought, and cyclones, will degrade or compromise a variety of critical and security-related infrastructure across China. Heavy rainfall in the mountainous areas could trigger mudslides and landslides that would render useless numerous fixed missile launch sites utilized by the Second Artillery Corps (第二炮兵部队), China’s strategic missile force. Large swings in water levels and river runoff could substantially reduce the effectiveness of Three Gorges Dam, while farming capacity could fall 5 to 10% by 2030. The uptick in cyclone activity over the last decade along the Chinese coastline has caused extensive damage, restricted PLA training, and degraded combat effectiveness. Even the new Chinese-Russian oil pipelines stretching across China’s vast interior could be in jeopardy from extreme weather patterns. With more than 11,185 miles of coastline, 6,700 islands, and China’s largest economic and population centers in littoral and maritime areas, climate change-induced sea-level rise may be China’s principal threat. Specifically, sea-level rise will cause significant coastline retreat, large-scale ecological damage, salinization of freshwater sources, and reset maritime boundaries. This will directly impact strategic energy corridors, maritime rights, and fisheries. In response, Zheng proposed a holistic approach for climate change securitization in 2009 to include forming a national leading group to address climate change and strengthening coordination between the army, national security agencies, and local decision-making bodies. A few Chinese military analysts share Zheng’s concerns and sounded the alarm on climate change in a 2011 study. Internally, the study determined that climate change will exacerbate current Chinese socioeconomic issues by lowering China’s quality of life, stretching limited resources, and increasing internal migrations. Externally, the study found climate change will increase geopolitical pressure and regional instability with China’s neighbors. It concluded that the cumulative effects from climate change will threaten the Chinese Communist Party (CCP) and impair Chinese sovereignty. Yet, despite these calls for action, Chinese authorities either do not see or fail to acknowledge the threat from climate change. But China should begin the process of intertwining climate change preparation and response into its broader national security framework (otherwise known as securitizing) now. If China does not act, it will not be able to prepare, respond, or adapt to the impacts from climate change as effectively as it could. This would be a disastrous choice for the CCP and the Chinese people. Wilson VornDick is a Lt. Commander in the U.S. Navy, where he is assigned to the Pentagon. Previously, he was assigned to the Chinese Maritime Studies Institute at the U.S. Naval War College. This piece reflects the author’s opinions, not the official assessments of the U.S. Navy or any other government entity. Nuclear power has emerged as an option for Beijing as it continues its struggle to transition to a cleaner, low-carbon future.